The Prestashop marketplace store owners can now go mobile in with minimum effort and in the least time. Knowband’s Prestashop mobile app builder for Android and iOS allows you to grab a larger audience base with a feature-rich mobile app. The Prestashop Mobile App for Multi-vendor Marketplace extension can convert your store into a mobile store without getting you indulged into any coding or technical know-hows. Compatible with Prestashop Marketplace Module. If you have upgraded your site into a marketplace by using Knowband’s Prestashop marketplace addon, then, you can now even have a mobile app for youronline marketplace.With Prestashop marketplace mobile app builder for Android and iOS, the store admin can effortlessly launch a mobile app for their marketplace. Note: The Prestashop mobile app builder extension is only compatible with the Knowband’s Prestashop marketplace addon and not any other marketplace extension. Moreover, it is compatible with all the features that the end-user gets, like they get option to view the seller’s profile and product, they can give review and rating to the sellers and see their reviews as well. As micro-moments consumer expectations are on the rise, even the decision-making is getting faster. The online buyers are turning to their phones for shopping. The customers expect to find what they need then and there. This is why a mobile app is a must-have. Are you presented with the challenge to build a multi-vendor marketplace app? Knowband is at your rescue! 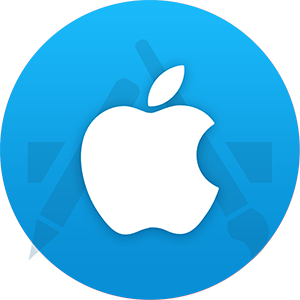 Our Prestashop marketplace mobile app builder for Android and iOS addon can convert your marketplace into a complete mobile application. Your customers can view the various sellers, their profile as well as products from the mobile app itself. The mobile marketplace store developed and designed by our Prestashop marketplace mobile app builder extension will make it even easier for the customers and sellers to find a common platform. The functioning of mobile app creator is simple. There are no code changes required in the process. With effortless installation and configuration, you can now tap the market of mobile-user with least effort. Note: The Marketplace mobile app builder for Prestashop will only work in your marketplace if you have used Knowband’s Prestashop Marketplace Addon. Follow the below-mentioned steps in order to create your own app. 1. Purchase the PrestaShop module from the store. You'll receive a zipped file that contains the source code of the module. 2. Unzip the folder. Copy all the files and folders and paste them into the “Module” folder of your Prestashop Marketplace Root Directory. 3. The design and development of the mobile app will be done by our intuitive development team. The admin can list out the features and functionalities that they want to incorporate in the application. 4. The store owners are required to share following things with the development team. 5. 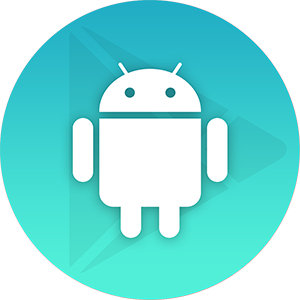 The APK file of the final app will be shared that can be used to publish the same on Google Play Store and Apple App Store. 6. For any custom changes, the admin can share the requirement with the team and the same will be incorporated for a small fee. How can the mobile app builder for Prestashop Multi-vendor Marketplace help you? The Prestashop addon offers a number of features that can help you find an edge in the competitive ecosystem. 1) Vendor List: The sellers of the marketplace will be listed in the app and the customers will be able to view the list of all the third-party vendors in a separate tab. 3) Seller’s Products: The customer even gets an option to see the products offered by a particular seller by visiting their profile. 4) Seller Details on the Product Page: The customer need not visit the desktop site. They can see the details of the seller on product page of the eCommerce mobile app as well. 5) Seller Review: The customer will be able to view and write the reviews for sellers from their app itself. Other than the Prestashop Marketplace compatibility, the app builder offers all the features offered by out Prestashop eCommerce mobile app builder. What are the benefits of the Prestashop marketplace mobile app builder? 1. The store admins can now enhance their reach both in terms of the product they offer as well as the customer base with a mobile marketplace. 2. The Prestashop marketplace mobile app builder supports all types of products including the simple, bundled, configurable as well as virtual products. Thus, you can now go mobile regardless of the products your marketplace deal in. 3. The admin can choose from enticing themes or color options and match the app’s interface with that of the website. 4. The mobile app supports all types of payment. Additionally, the Marketplace Mobile App for Prestashop is compatible with most of the shipping method, In case, there is a requirement to implement any shipping method that is not compatible with the app, then, we can get it incorporated for a small fee. 5. The zopim chat services can help you stay in touch with your customers 24/7. 7. The multi-currency support of the Prestashop marketplace mobile app builder for Android and iOS plugin allows seamless trading for the sellers as well as the customers. 8. The marketplace mobile apps are tablet-optimized and work on all the hand-held devices. 9. The Prestashop Marketplace mobile apps even offer voice search option. This option is not there in the iOS apps. 10. There are inbuilt social login options that make customer registration easier. 11. Wishlist option for the store visitors allows them to save the products for future reference. 12. The Prestashop mobile app maker supports all types of coupon. 13. The admin gets unlimited push notifications with the Prestashop mobile app creator. They can now send personalized messages and keep the prospective customers engaged. 14. Easy order tracking makes it easier for the customers to track the order status. It can effortlessly boost customer loyalty. PrestaShop Marketplace Mobile App Maker lets you display the store logo on the header of the app. It will definitely enhance the visibility of your store among huge mobile users. The PrestaShop Marketplace Mobile App Creator allows a store merchant to highlight the top products of your store on the mobile app. The products can be listed on the home screen in both grid or list view. Our PrestaShop Marketplace Mobile App Builder offers swipe product display feature for easy browsing. The eCommerce mobile app users can view the products just by swiping right or left on the product screen. The PrestaShop Marketplace Mobile App Maker provides gamified pop-up wheel display on the mobile apps. This allows the store owners to offer various discounts and offers with an interactive interface on the mobile app. This functionality will only work if KnowBand’s PrestaShop Spin and Win module is installed on the store. The PrestaShop Marketplace Mobile App Maker provides Zopim and WhatsApp chat support in the eCommerce mobile apps for instant user assistance. The PrestaShop Marketplace Mobile App Maker allows the store admin to control the navigation of Add To Cart button. The store owners can keep the online shoppers on the product page or redirect them to the shopping bag. The PrestaShop Marketplace Mobile App Maker allows the store admin to choose the desired CMS pages to be displayed on the mobile apps. The sellers can show-case their product in multiple languages, thus, allowing them to go global. Even small vendors can boost their product visibility and business reach with least hassle. The tablet and mobile-optimized apps work on all the hand-held devices. The mobile app offers a separate tab for the sellers that list out the profiles of the third-party vendors. The customers can see the profile of the sellers at a button click. The users can view the seller’s profile and the products they are offering. The seller reviews can be seen in the profile. The sellers can sell any type of product in the mobile marketplace. They can offer the payment and shipping methods as per their wish. The Prestashop marketplace mobile app maker supports all type of payment and most of the shipping methods. Prestashop marketplace mobile app builder supports all type of products. The seller can list any type of products after the approval of the store admin. Unlimited push notification keeps the customers informed. The customers can now get wider options to choose at a single place. Prestashop marketplace mobile app is compatible with all type of device. The store visitors can now even shop through their handheld devices. The multi-lingual app allows them to shop in the desired language. The can send their reviews and feedback for a particular seller. Customers get an easy order status tracking option. Prestashop marketplace mobile app builder for Android and iOS incorporates a wishlist in the mobile app. They can save the products in their wishlist for future consideration.